Our distinguished guest will be Dr. Gary Tinterow, Director of The Museum of Fine Arts, Houston. 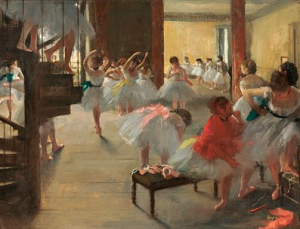 Dr. Tinterow will describe the landmark exhibition, “Degas: A New Vision,” on view through January 16, 2017. Hilaire-Germain-Edgar Degas (1834-1917), an artistic colossus who straddled two worlds – the Renaissance-Neoclassic tradition and the ‘new painting’ of Impressionist realism – was a complicated man and consistent innovator. This exhibition of over 200 works, the most ambitious in 30 years, spans Degas’ output in painting, drawing, photography, printmaking, and sculpture.